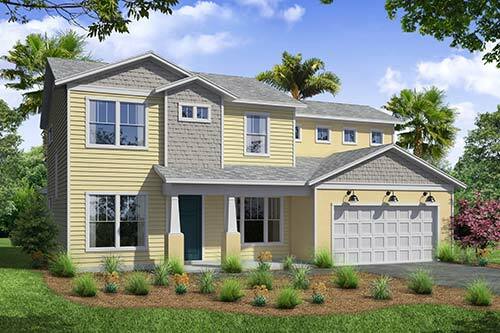 TerraWise Homes is leading the way in Jacksonville and Northeast Florida with innovative new home designs. From exciting architectural styles and floor plans to the latest in new construction technology and energy efficiency, TerraWise is at the forefront of new home construction. TerraWise is also the leader in Solar Powered Net-Zero Energy homes. No other homebuilder in Jacksonville has built as many Net-Zero Solar homes. TerraWise Homes also has the lowest HERS scores and highest inherent energy efficient design of any area builder. View our floorplan gallery and use our floorplan search to preview available plans and homes. Then visit a model center to learn more about the TerraWise Homes Difference. Learn more about our Energy Efficient Features.